Normal people cook on these so-called ‘ovens’. 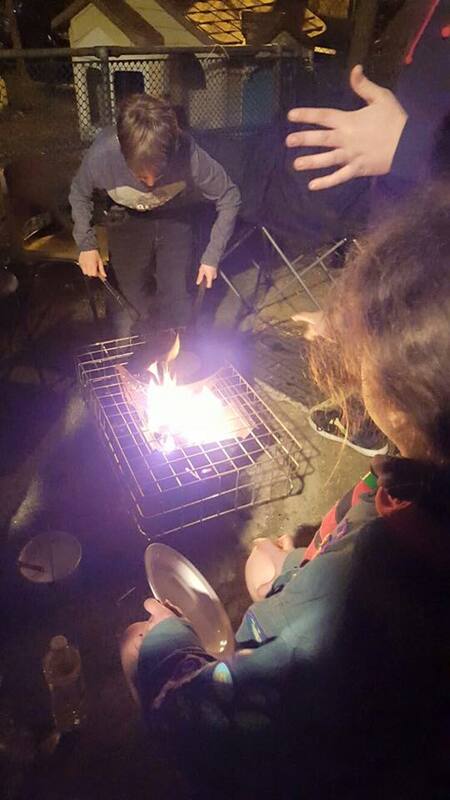 Even in the winter that term is slightly unfamiliar to us Scouts, as we prefer to use the more adventurous Scouting way of cooking on a fire. 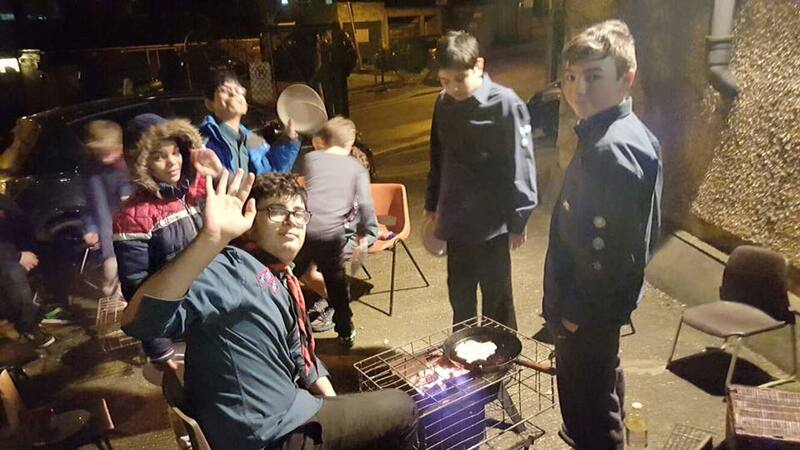 Shrove Tuesday being on, that’s right, Tuesday, is more than convenient for the 2nd Edgware Scouts who meet every Tuesday, providing a brilliant excuse for to cook up some pancakes! 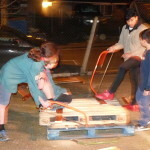 In the previous weeks leading up to Shrove Tuesday Roni and Bradley have helped us saw up wood and build and control are own fires. With all the wood collected they built up a campfire in two BBQ stands before the meeting started, and we soon were all gathered around them. 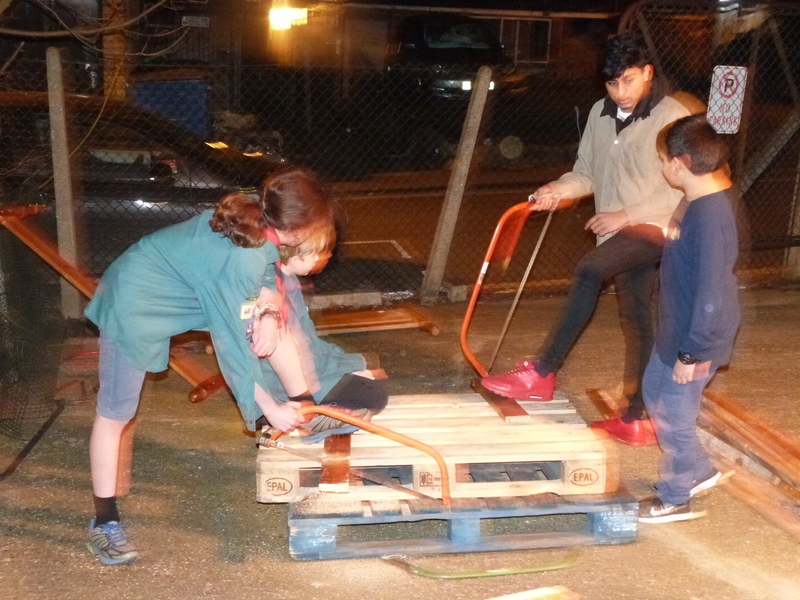 Whilst our fantastic leaders were making a batch of pancake mixture we sung some songs around the camp-fire, although not at our loudest being in an Edgware backstreet at night, and played Chinese story telling. For those who have played Chinese-whispers, the game is very similar. 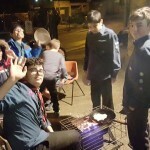 After a good sing and laugh we split into our Patrols and cooked round a BBQ tray each. Each Patrol had their own mixture and we were soon frying up a pancake over the fire, producing all sorts of different peculiar shapes and lumps. We decorated them with any toppings we bought or some other tasty treats provided. 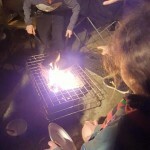 By the end of the evening we all enjoyed our pancakes and had had a great time, and that’s why Scouting is so amazing, because it’s not everyday you can cook pancakes over a fire at home, it is? No, I’m talking about Bradley, who says he’s been burnt so much he doesn’t feel it any more. One man who has been with 2nd Edgware for a very long time surely must be used to fire. Ken Cantor, the fourth of now nine Group Scoutmasters/Leaders at 2nd Edgware, is celebrating his 100th birthday this month! Although I, nor many other people at 2nd Edgware today knew Ken Cantor personally, we all know that Ken is a massive part of our Group history. 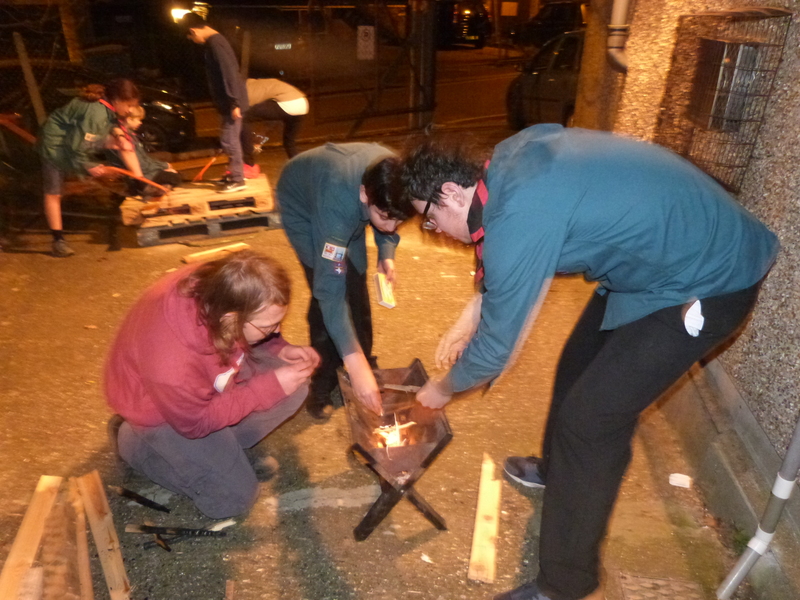 Ken spent most of his life involved with Scouting, and all his work with 2nd Edgware is more than appreciated. Ken has many memories with 2nd Edgware, and we have many memories of him. 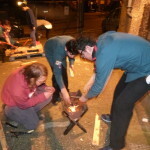 Whilst I write this post about our Troop cooking pancakes the true Scouting way I thought it would be appropriate to mention Ken, as I’m sure he would be proud of us continuing old Scouting traditions if he was reading this. To celebrate his 100th birthday the Group is sending Ken a birthday card which all of the Scouts have signed. Thank you for all your work with us Ken, and happy 100th birthday!